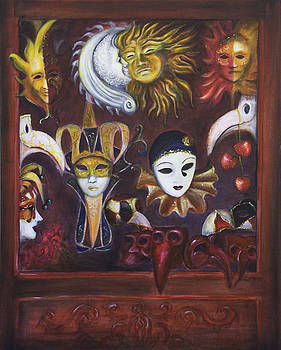 Paintings on the wall inspired by Venetian Masks Shops, shop windows. You can buy art prints and poster of these by visiting my art images print shop. Making Faces – painting art of shop window in Venice.